Warren Gatland says Leigh Halfpenny is unlikely to play in Wales’ first two Six Nations matches, while Gareth Davies and Scott Williams are also set to miss the opener against France. 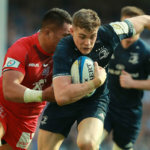 Halfpenny has been out since suffering concussion in the victory over Australia in November and the full-back is not expected to return until the home clash with England on February 23, at the earliest. Wales also look likely to be without scrum-half Davies and centre Williams when they take on Les Bleus in the opening game of the tournament at Stade de France a week on Friday. In a news conference at the Six Nations launch on Wednesday, Gatland said: “Leigh Halfpenny is unlikely to play the first couple of games, Gareth Davies has a quad strain and Scott Williams an ankle injury. “Those three are unlikely to be considered against France. We will know more after we come into camp this weekend. 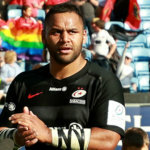 The Wales head coach added: “For us, it’s [about] easing Leigh back in slowly. It’s been tough for him but he’s been philosophical; he’s lucky his partner has given birth and he’s been working on his kicking with Neil Jenkins. Jake Ball is the only Wales player who will be released to play for his region, the lock set to feature for the Scarlets against Leinster in the Pro14 on Friday.